…that actually might be a good idea. Do it, and make a comic about the process and result. And then add a “number of days since last meta comic” counter. For what its worth, if its to formal you only look professional, and if its to informal you just look companionable. In my experience the only way to really make a bad impression in an email is to txt type or call the person in question an unflattering name. Also i do something very similar with everything. Talking, texting, typing, i plan it all in advance. Its an OCD trait, and everyone’s OCD in their own way. Don’t worry, Mary. We’ve all been through that before. I can always procrastinate later. 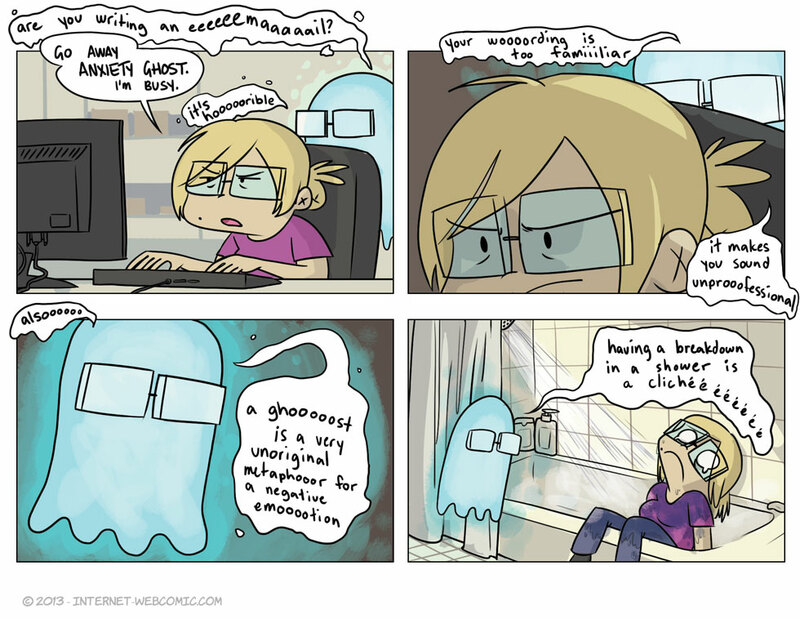 It’s scary how often I read yer comics and say “yep this is me”. Okay, this is my new favorite. This guy follows me around all the time.